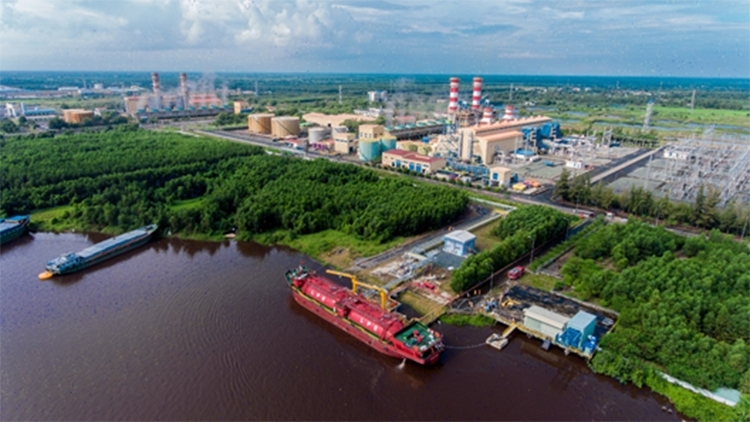 (VEN) - In 2018, Vietnam's southern sky was brighter when the Ca Mau Gas Processing Plant (GPP Ca Mau) - the final piece completed the overall picture of the Gas - Electricity - Fertilizer project in Ca Mau was inaugurated and put into operation. 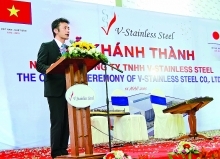 Deserved with the trust of leaders and the Vietnam Oil and Gas Group, the PetroVietnam Gas Joint Stock Corporation (PV GAS) has received, and safely and effectively operated this project, contributing positively to the local socio-economic development, ensuring national energy security and marking an important step of the Vietnam's gas industry. 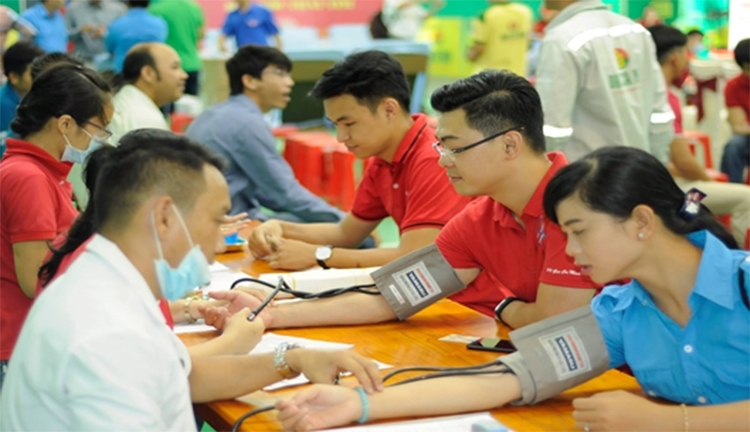 Only within a short time after receiving Ca Mau GPP, the young employees of the PetroVietnam Gas Ca Mau Company were able to fully master the technology and operate it safely and effectively, exceeding all the targets on producing LPG and condensate. Specifically: LPG output was estimated at 155,000 tons, reaching 135% of the year plan; production of Condensate was estimated at 10,000 tons, reaching 154% of the year plan; The export of liquid products ensured safety for 120 train trips and more than 6,000 tank truck trips. 2018 was also the first year that Ca Mau GPP cooperated with related parties to carry out major maintenance and repair work of the plant with a huge amount of work. The number of employees and contractors on the construction site at some moments reached nearly 200, with more complicated multijob operations than previous years. This is a significant challenge for young technical staff, who had only received the factory for less than 1 year. However, thanks to careful preparation, smooth coordination of related units and high concentration on the site, the maintenance work was successfully implemented, reaching 3 important objectives: safety, quality and progress: 2 days ahead of schedule. The safe and effective operation of GPP Ca Mau in 2018 had a tremendous significance, helping PV GAS play a key role in Vietnam's gas industry and has further expansion to international markets; solve LPG shortage in the domestic market, reduce the amount of LPG imports annually; follow the company’s policy and strategy which is providing environmentally-friendly energy sources for sustainable development of the country. The effectiveness of the project also contributed to increasing the local budget revenue; creating motive force to promote industries related to dry gas, LPG, condensate products in Ca Mau and neighboring areas; and attracting high quality human resources to work for Ca Mau province. The above success was really a great effort to overcome all difficulties and was attributed to a thorough preparation process of the PV GAS leaders and employees. Director of PetroVietnam Gas Ca Mau Company Nguyen Phuc Tue said that one of the major challenges for the company when receiving GPP Ca Mau operation was experience in management of gas pipeline system, especially the GPP Ca Mau has high technical and technological requirements. GPP Ca Mau possesses many leading technologies, which are also its outstanding advantages compared to other plants. This enables the plant to have a liquid recovery efficiency of up to 97% while this rate of other plants was about 80%. The reliability and availability of the system are also very high which help bring overall efficiency for the project. However, this also poses great challenges in receiving and mastering technologies that have never been applied in Vietnam. Recognizing the importance and complexity of the GPP Ca Mau, right from the end of 2015, the Board of directors of the company mapped out strategies on human resources to master technologies and equipment. During this long-term training course, the company has conducted training in various forms, including sending staff to facilities that have been operating gas processing plants, organizing external training courses with domestic and foreign experts... and regularly organizing inspections and assessments to ensure the training quality. Especially, employees of GPP Ca Mau faced many difficulties and challenges when coordinating with contractors, and handling errors arising in trial operation, including communication in different English accents, not only between Vietnam and foreign contractors but also between General Contractor Posco from South Korea and technology copyright contractor UOP from the US. Overcoming differences in language, the project team gradually got acquainted, communicated more easily, understood and coordinated better in works, and accompanied their partners well to complete the project. In addition, with a huge amount of work, it was not an easy job to allocate personnels to ensure the progress and quality of works, especially most of the participating teams are young and inexperienced. 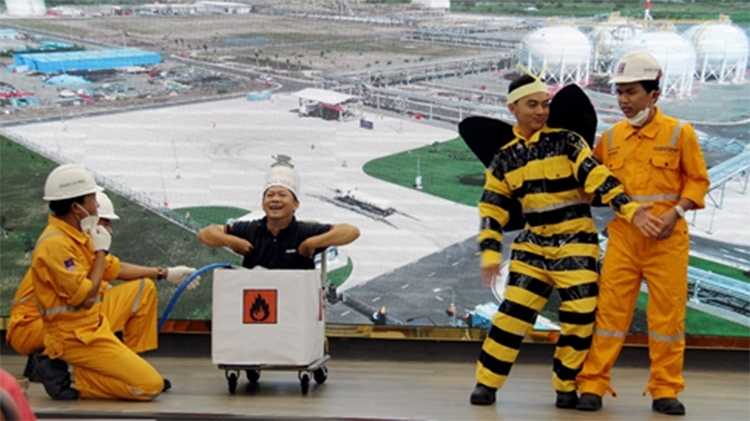 And although the GPP Ca Mau has complicated technologies, located in a 35-ha area including factories, warehouses and ports for export of liquid products, leaders of the company was determined to build a neat, light GPP Ca Mau apparatus, therefore the workforce of the plant only consists of 78 employees, at very young age (average age is under 27 years old). Despite many difficulties, thanks to good preparation in terms of personnel and training, after only a short time of operation of the plant, the staff of PetroVietnam Gas Ca Mau Company can confidently master technologies in all aspects from operation, maintenance and system management without support from foreign experts and contractors. Sharing experiences from the effective operation of the GPP Ca Mau, Director Nguyen Phuc Tue said that there are 4 main factors for this success. Firstly, the ealy planning for all activities of the project implementing plans and always updating them to corresponds to reality; secondly, developing human resources to meet requirements; thirdly personnels should work with the Project management board from early days to understands the project quickly; and finally the spirit for the common goal of "completing the project" of all parties involved. To promote the achieved results, in 2019 PetroVietnam Gas Ca Mau Company aims to better complete the staff, technology system, facilities and management system of GPP Ca Mau with the goal of turning it into a typical plant of PV GAS; Continue to improve safety in operation, maintenance and repair; Putting into operation the Permeate Gas supply project (a by-product of GPP Ca Mau) to Ca Mau Fertilizer Plant, adding 2% of gas demand, increasing revenue for GPP Ca Mau 1 million USD per year, reducing costs for gas purchase by 2.5 million USD a year for the Fertilizer Plant, contributing to increasing the Ca Mau Gas - Electricity - Fertilizer value chain; Promoting the movement of scientific research, technical innovations, technology optimization to improve production efficiency, contributing to improving the overall efficiency of the project. With solidarity and strong will to overcome all difficulties and with youth vitality, the excellent staff of PetroVietnam Gas Ca Mau Company have been, day by day, mastering GPP Ca Mau - a large, modern plant at national level. Youth vitality, enthusiasm, and dedications of the staff and technical workers who have "both morality and capability" are expected to bring new success for GPP Ca Mau, so that it deserves to be a typical plant of PV GAS, a national key project, that lights up the future for the southernmost region of the country.